If you’re stressed out or suddenly trying yoga, you may just be falling in love. If your partner has ever caught you staring at them lovingly, it could be a sign that you’re head over heels. Eye contact means that you’re fixated on something, so if you find that your eyes are fixed on your partner, you may just be falling in love. Studies have also found that couples who lock eyes report feeling a stronger romantic connection than those who don’t. It goes the other way too: when a study had strangers lock eyes for minutes at a time, they reported romantic feeling towards each other. It’s completely normal to feel out of your mind when falling for someone. A study from the Kinsey Institute found that the brain of a person falling in love looks the same as the brain of a person who has taken cocaine. You can thank dopamine, which is released in both instances, for that feeling. This is a good explanation for why people in new relationships can act absolutely nonsensically. If you love someone, you may feel like you can’t get them off of your mind. That’s because your brain releases phenylethylamine, aka the “love drug” when you fall in love with someone. This hormone creates the feeling of infatuation with your partner. You may be familiar with the feeling because phenylethylamine is also found in chocolate, which may explain why you can’t stop after just one square. Love is an equal partnership, but you’ll find someone’s happiness becomes really important to you when you’re falling for them. So-called “compassionate love” can be one of the biggest signs of a healthy relationship, according to research. This means that you’re willing to go out of your way to make your partner’s life easier and happier. If you find yourself going out of your way to keep your partner dry when walking in the rain or making them breakfast on a busy weekday morning, it’s a sign you’ve got it bad. Although love is often associated with warm and fuzzy feelings, it can also be a huge source of stress. Being in love often causes your brain to release the stress hormone cortisol, which can lead you to feel the heat. So if you’ve noticed your patience is being tested a little more than normal or you’re kind of freaking out, you may not need to carry a stress ball just yet; you may just be in love. Falling for someone might be painful, but if you’ve noticed that literally falling doesn’t bother you as much anymore, it could be a big sign you’re in love. A study conducted by the Stanford University School of Medicine had participants stare at a photo of someone they loved and found that act could reduce moderate pain by up to 40%, and reduced severe pain by up to 15%. So if you’re getting a tattoo, you may want to keep a photo of your partner handy. Just in case. Everyone wants to impress their date in the beginning of their relationships, but if you find yourself consistently trying new things that your partner enjoys, you may have been bitten by the love bug. In fact, a study found that people who have claimed to be in love often had varied interest and personality traits after those relationships. So even if you hate that square-dancing class you’re going to with your partner, it could have a positive effect on your personality. Your heart rate synchronizes with theirs. Your heart may skip a beat when you think about the one you love, but a study showed that you may also be beating in time with each other. A study conducted by the University of California, Davis, suggests that couples’ hearts begin to beat at the same rate when they fall in love. Although you may not be able to tell if this has happened without a few stethoscopes, feeling a deep connection to your partner is a good a sign as any that you’re in love. You’re OK with the gross stuff. If you’re a notorious germaphobe and totally cool kissing your partner after just watching them pick their nose, you might just be in love. In fact, a study by the University of Groningen in the Netherlands found that feelings of sexual arousal can override feelings of being grossed out. So that means if you’re super attracted to your partner, you may just let them double dip. That’s love, baby. If you’re nauseous and sweaty, you either have a bad stomach bug or are falling in love. A study found that falling in love can cause you to feel sick and display physical symptoms similar to that of anxiety or stress, like sweat. Although this feeling will probably pass once you really get comfortable with your partner, it may be a good idea to carry around an extra hanky, just to be safe. If you really get to know a person, chances are you’ll pick on the little things that make them uniquely them. And if you’re in love with them, these are probably some of the things that attract you most about them. A study found that small quirks can actually make a person fall deeper in love with someone rather than just physical attributes because people have unique preferences. So although you may have judged your partner a little harshly on first glance, if you find that you’re suddenly in awe of their uniqueness, you might be in love. Call and book an initial assessment with Dr. Kyle Aram today! Dr. Phil Shares: Should You Work Out With a Cold? When you’re feeling under the weather, does activity help or hinder? Most experts agree you can still work out when you’re sick — as long as you listen to your body and not push it. 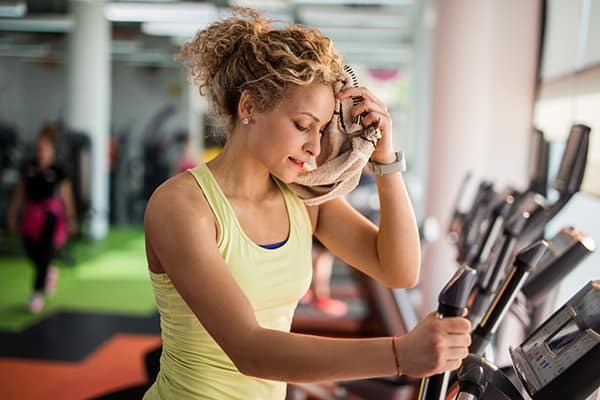 Keep in mind, everyone’s tolerance level for colds and sniffles varies — one person feels like they can sustain a normal workout routine, while another feels too draggy to even consider it. “Studies show that exercise is beneficial because it can boost your immune system before, during and after sickness,” says Nicola Finely, M.D., integrative medicine specialist at Canyon Ranch in Tucson. Note: If you have a chronic health condition, such as asthma, you may want to consult your doctor first before exerting yourself. Does Exercise Boost the Immune System? “Exercise allows your white blood cells to circulate faster throughout the body, and white blood cells are the immune warriors that fight off infections,” explains Finely. The American College of Sports Medicine backs that up, too, stating that regular and moderate exercise lowers the risk for respiratory infections and that consistent exercise can enhance health and help prevent disease. In one study in the American Journal of Medicine, women who walked for 30 minutes every day for a year had only half the number of colds as those who didn’t bust a move. Working out almost daily at a moderate pace can help keep your immune system strong. But overtraining and pushing yourself too hard for too long can decrease the levels of IgA, which are antibodies on the mucosal membranes, such as the respiratory tract. These antibodies are needed to battle bacteria and viruses. According to The American College of Sports Medicine (ACSM), moderate physical activity done every day, such as yoga or jogging, is the most effective way to keep the immune system strong. You have a garden-variety cold but no fever. Exercise can help relieve you from stuffiness by opening up your nasal passages, says the Mayo Clinic. Your symptoms are above the neck like a runny nose, nasal congestion, sneezing or a slight sore throat. “Keep the intensity at a moderate-to-low pace,” cautions Finely. For example, if you typically go for a 30-minute run every day, take a brisk walk instead. And if you start to feel worse with exercising, then you should stop, she says. You have a fever, discomfort in your chest, or difficulty breathing. Your symptoms are below the neck, such as chest congestion, a hacking cough or an upset stomach. You’re tired, you’re running a fever, or you’re especially achy. 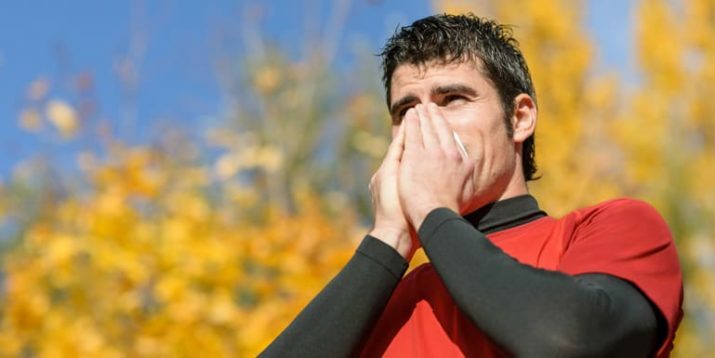 “I’d suggest any patient refrain from exercise if fever is higher than 101.5 degrees Fahrenheit,” says Finely, who points out that a fever is considered any temperature over 100 F. Exercising during this time increases the risk of dehydration, and can worsen or lengthen the duration of your cold, she explains. A 2014 study in the journal Sports Health found that fever can have harmful effects on muscular strength and endurance. There’s no great advantage in tiring yourself out when you’re feeling ill. After all, you don’t want to risk making yourself sicker, and taking a few days off shouldn’t affect your overall performance. “When you get back to exercise, make sure to gradually increase your level as you begin to feel better,” Finely advises. Exercising during a cold can be beneficial, but don’t push it. Remember, it can help flush bacteria out of your lungs and airways and reduce your overall chances of getting a cold in the first place. The important thing is to listen to your body.